As the office manager of SEDA Dental of Pinecrest, Gabriela allows our facility to run with efficiency for an optimal patient experience. Through her successful management skills and ability to delegate responsibilities, she is able to ensure the delivery of excellent patient care. Gabriela enjoys interacting with our patients and staff members and is an essential member of our Pinecrest, FL team. As a graduate from the Miami-Dade College Dental Hygiene Program, Wilbur takes great pride in helping our patients identify ways that they can improve and maintain their overall oral health. He provides our patients with the knowledge necessary to formulate a proper at-home oral care routine in order to create a healthy oral environment. Additionally, at SEDA Dental of Pinecrest, Wilbur is skilled in performing dental cleanings as a form of preventive care for our patients. Andy has had a passion for dentistry his entire life. He was born in Cuba, but raised in the US and is fluent in English and Spanish. Andy attended the University of South Florida where he obtained his bachelors degree. 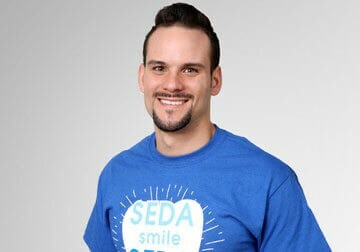 He considers himself an outgoing professional who loves interacting with his patients and providing excellent care at SEDA Dental of Pinecrest. His number one priority is ensuring his patients feel as comfortable as possible througout their experience. Andy finds satisfaction from seeing others smile, because smiling is the best medicine for the mind, soul and heart. 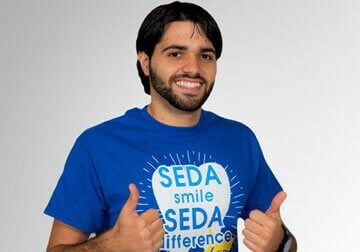 Our team at SEDA Dental of Pinecrest is skilled and experienced in offering a positive patient experience with optimal treatment results.